Cut allium foliage around mid-summer, when the leaves turn yellow and die back. 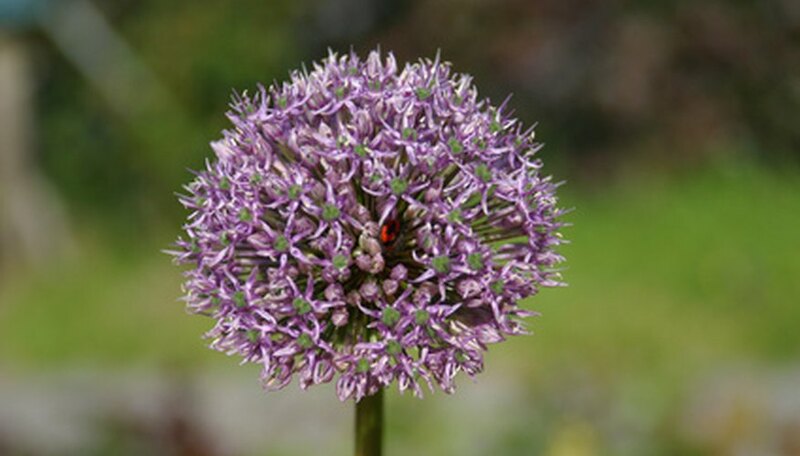 Keeping the foliage on the allium after it has finished blooming for the season helps feed the bulb for the following year. Once the leaves expire, you can remove the foliage. Janet Teas has been a contributing writer since 1993. She has written for numerous home and garden publications, including Better Homes and Gardens, Old House Interiors, The Essential Herbal and Country Woman. Teas received a bachelor's degree from Bowling Green State University.